Sanibel Island Real Estate, Captiva Island Real Estate - Sanibel Island voted best Family-Friendly Vacation Spot! Sanibel Island voted best Family-Friendly Vacation Spot! 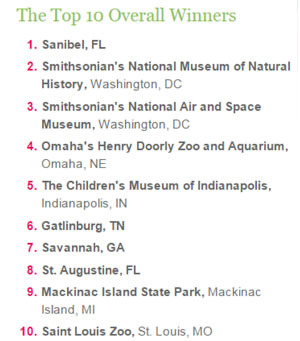 Sanibel Island recognized (again) as one of the best places! This year the "FamilyFun Travel Awards" picked Sanibel Island as the best Family-Friendly Vacation Spot in the U.S.! Nothing we didn't already know, but it's always nice when our little island is recgonized as being very special. Sanibel Island actually won the top spot in two catagories; the Best Family-Friendly Vacation Spot in the U.S., and The Top Tourist Town. Announced on NBC's Today Show, the article mentions our incredible birding (230 types of birds), our 25 miles of bike paths, over 250 types of shells, and, of course, our over 15 miles of beach. Sanibel had some tough competition, but we've known for years that our islands are the best! Besides winning another "Best Of" title to add to our collection, we are having a busy time on the islands. We still have plenty of tourists and local residents on Sanibel and Captiva Islands. We have lots of events coming up as we head into the summer. 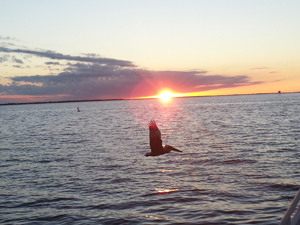 From fishing tournements to Ding Darling Wildlife Refuge tours... there is always something to do on Sanibel! You can check out the full schedule of upcoming events HERE. We also have a full inventory of properties for sale and many buyers taking advantage of our improving economy and low interest rates. We currently have 124 home listings on Sanibel, from a 2/1 for $299,000 to an incredibly beautiful 5/4 with 700 feet of beach frontage listed at $18,950,000. For condos, Sanibel currently has 98 listings from a 1/1 for $229,900 to a 3/4 $2,495,000 listed as a "gulf front single family home with convenience of a condo." I have some super listings also. You can check out my "Sensational Properties" page on my website HERE for virtual tours, specifications, and prices. 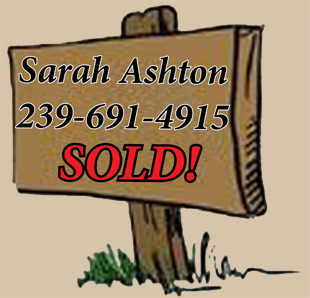 You can also search ALL our island listing on my popular listing search page HERE. You can put in all your criteria for what you are looking for and you can search by map, price or size. Give it a try! This is a great time to come and visit Sanibel and Captiva Islands! Our weather is perfect, crowds are less, and our beaches are waiting! Come and leave your footprints in the sand... and while you're here, Call Me! Let me know what you're looking for and I will search out every property fitting your needs. You can just enjoy the beach as I do all the footwork for you!